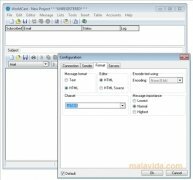 Nowadays, the email is one of the best tools to communicate across the world, due to its efficiency, speed and simplicity, and due to this fact their are dozens of tools to be able to work with this communication system. 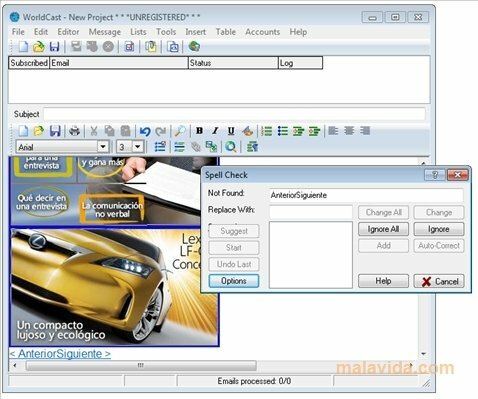 WorldCast is an application from which as well as being able to check the email addresses that we indicate to detect if they are valid, we can carry out the massive sending of emails, thanks to which we will be able to inform big groups of people (customers, suppliers or contacts) of anything of interest to them (newsletters, business notices, etc...). 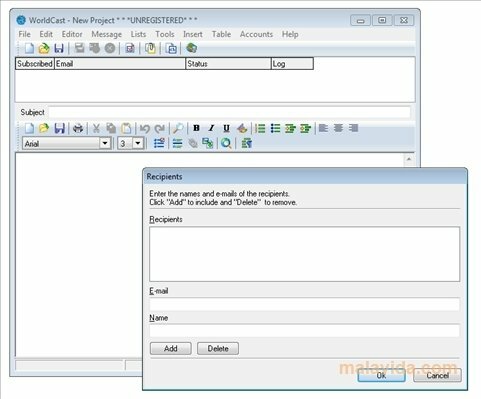 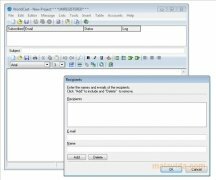 The program has an editor from which we will be able to write our emails, that has a preview mode and a spellcheck tool, as well as allowing us to attach files. 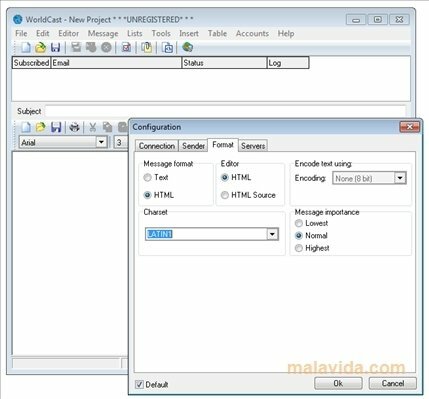 If you are looking for an application that will allow you to send emails massively, and that is really practical and simple to use, you have to download WorldCast right now.